With the holidays swiftly approaching, you and your child are likely to find yourselves facing many changes in your daily routines. Trips to visit family, changes in eating habits, busy schedules with early mornings and late nights — all of these things may make your child’s everyday activities change significantly. And because a child is still learning to embrace life skills such as flexibility and resilience, having long periods of time off for the holidays may initially take your son or daughter by surprise. But with planning, you can make the most of the holiday break from school, have a lot of fun as a family, and watch your child bloom as they head back to school refreshed and ready to learn. We all need breaks! Short breaks during activities can greatly benefit your child’s learning. After long periods of focus, the brain is depleted of neurotransmitters like dopamine and serotonin. A shift in focus to rest and replenish is necessary and healthy. A longer break, such as several days for holiday celebrations, can allow you and your family to get needed sleep and rejuvenation in the form of entertaining activities like shopping, cookie making, and visiting relatives and friends. Of course, as Montessori teachers well know, regular daily activities that children can count on help them develop a sense of confidence and exploration, within understandable boundaries. But as parents know, holiday schedules can play havoc with regular activities. Create a bucket of 10-, 20-, and 30-minute activities that you can invite your child to engage in — the more, the better. Then as you focus on your own tasks of cooking, card writing, online shopping or other activities, encourage your son or daughter to pick their own activities out of the bucket and do them. When your child grows restless, invite him or her to switch to a new activity. This mimics the schedule of a Montessori school day, which may help your child navigate their free time more smoothly. Move – Stretch, take a brief walk, do a yoga move or two, or shake and wiggle your body. Use music – Turn on a favorite song and dance to it. Or sing a song or two with your child, clapping to keep time. Draw – Pull out a notepad and doodle. Choose something in the house or yard to draw. Pull out the crayons and color a page or two in a coloring book. Watch a short video – Find and watch a 5-10 minute fun video that has nothing to do with what you and your child have been working on. Breathe deeply – Mindful practices like deep breathing are relaxing. It’s also a great way to teach children to be less reactive — a useful tool for later in life. Play a quick game – Charades, twenty questions, or a similar game that moves fast is a fun way to switch things up. And it keeps your child engaged in discovery — another way to bring in the Montessori approach at home. Read a book with your child. During the holidays, you get the bonus of having more time for reading. Pick a long book, like Charlotte’s Web, and read a chapter or two nightly before bedtime. Or invite your child to pick a book they can read to visiting relatives, which is fun for everyone! Listen to books in the car. That long drive to Grandma’s house doesn’t have to be filled with mindless videos. Play a book your kids will enjoy instead. Take breaks between chapters to talk about it and speculate what might happen to the characters next. Practice math skills in the kitchen. While you’re cooking holiday meals, invite children in to practice fractions, adding and subtracting. Have them count the cups of flour poured into the mixing bowl, or count equal numbers of cookies into gift bags. Invite discovery while shopping. If you do holiday shopping, engage your child in a game of discovery. Encourage them to closely examine artistic items at a craft fair, telling you about the colors and materials they notice. Let them describe objects that catch their attention. All these activities are related to the holiday and can be fun, while also allowing your child to continue their Montessori learning. This way, they’ll be ready to step back into school once the holiday is over. One final thing to do before student holiday breaks end is to prepare your child to return to the routine of the classroom. By doing so, you make their transition easier and help them ease back into the learning process successfully. Sleep — Make sure your child gets plenty of sleep. Ideally, keep them on their regular sleep schedule so they won’t be dragging on school mornings. Eat breakfast — With holidays, our eating habits may go out the window. But keep your children in the habit of eating a nutritious breakfast. Get organized — Before school starts back up, make sure your child’s school supplies and clothes are clean, organized, and in place. Unlike traditional schools, Montessori educators actively engage you and your child in ways to learn and grow all the time — in and out of the classroom. Student holiday breaks don’t have to interfere with the learning process. That’s the Montessori advantage! 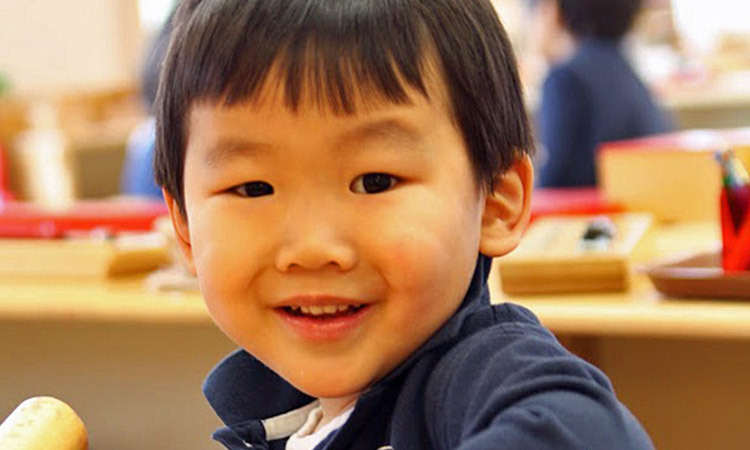 Learn more about our Montessori curriculum for your child, or call us to schedule a tour and see for yourself how Primary Montessori Day School empowers children and equips them for lifelong success.